On the morning of April 27th, conducted by Faculty Development Center, Dean's Office and Network Security and Informatization Leading Group Office, "Activity Month of Information Technology into the Classroom" was launched on the third floor's academic hall, Yu Cai Building. President Fu Zitang, vice president Liu Ge, vice director Jiang Yulong from Fudan University Faculty Development Center, leaders from every schools and relevant functional departments and new college teachers joining our school in 2017 and 2018 attended the launching ceremony, and opened the prelude to SWUPL's reform of information technology teaching. President Fu Zitang said, facing the modern educational information technology revolution, the integration of artificial intelligence into education, and national action plan for promoting the informatization of education, SWUPL should focus on new demands for talent cultivation in the new era, strengthen the talent cultivation philosophy of 'ability-first' and treat the education informatization as an endogenous variable in education system reform, so that our school can lead the development the education modernization development and promote the renewal and reform of education philosophy and education systems. At the same time, he hopes that all of us should take the activity month as a chance to follow closely the pace of education reform, and implement the relevant requirements of the Ministry of Education, changing the teaching model by education informatization and promoting teaching quality and competitiveness to contribute to SWUPL's "double first-class" construction. Vice president Liu Ge said, SWUPL will set up the evaluation index system of student information literacy, which helps to cultivate students' good information thinking, so that they can meet the requirements of information society development. Moreover, SWUPL will carry out training to promote teachers' information-based teaching and information literacy. Using the emerging information-based teaching model, our school could find a more convenient and efficient way for teaching to implement the spirit of the eighth party congress of the school, speed up the construction of a "smart campus", and comprehensively lead the reform to boost the school's development. Later on, Vice director Jiang Yulong from Fudan University Faculty Development Center gave an information-based teaching experience sharing meeting for the teachers of our school entitled "Utilizing online courses to reconstruct university teaching". He explained the use of information technology to implement the flipping teaching strategy of "student-centered, cultivating ability, improving quality and efficiency, reconstructing teaching", which has greatly stimulated teachers' enthusiasm for online courses, enhanced teachers' confidence on promoting the reform of teaching mode and improving the level of curriculum construction. Director of Network Security and informatization Leading Group Office Jiang Bo introduced the development plan of "Activity Month of Information Technology into the Classroom". Director Zhang Jianwen of Dean's Office introduced the arrangement of mobile teaching competition. Director Chen Yingqin of Faculty Development Center demonstrate the function of the upcoming SWUPL Development Education Platform. 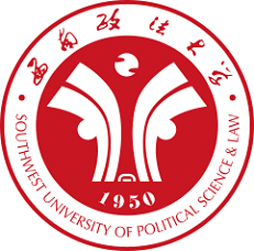 It is said that SWUPL is going to hold the mobile teaching competition from May 9th to June 17th and select five mobile teaching stars, which can help teachers use information technology to carry out learning analysis and personalized teaching, realize the organic integration of new technologies and professional development of teachers, and play the positive role in improving quality of personnel training. Moreover, the platform opens up "mobile teaching competition" column to provide participating teachers with the use of learning technology services and answer their questions. At the same time, the "Activity Month of Information Technology into the Classroom" will carry out many training courses, like two advanced training courses for PPT production, one training course for micro video production, 13 training courses for the ways to use the platform，which covering all colleges, smart campuses, and training and development platforms, to ensure and improve the quality of personnel training.